Siddarth Kaul is an Indian cricketer who plays for the Punjab team in the Indian domestic circuit. Born on 19 May 1990 in Pathankot, Punjab, India, Kaul is a right-arm medium pace bowler. Kaul began playing cricket at the age of 6 under the influence of his father Tej Kaul who played first-class cricket. Siddarth Kaul made his first-class debut for Punjab in the 2007-08 Ranji season. He bowled superbly and took five wickets while conceding 97 runs against Orissa. Kaul has made appearances for the Punjab team at Under-15, Under-17 and Under-19 levels. He was named in the India Under-19 squad for the 2008 Under-19 World Cup in Malaysia. He played a pivotal role in India’s triumph, taking 10 wickets at an average of 15.40. He was India’s joint highest wicket-taker in the tournament. Kaul has a good first-class record as he has taken 180 wickets in 51 matches with 10 five-wicket hauls. His numbers in List A matches are phenomenal. He has 109 wickets to his name in just 59 matches with 4 fifers and a bowling average of 22.60. In T20s, Kaul has taken 70 wickets in 66 matches with best bowling figures of 4/14. He has represented North Zone, India A, India B, Rest of India, India Blue, India Red and India Green team across different domestic competitions in India. Kaul is yet to make his International debut. He was named in India’s squad for their series against Sri Lanka in November 2017 but didn’t got an opportunity in the playing eleven. Kaul was drafted by the Kolkata Knight Riders in the inaugural season of the Indian Premier League. He didn’t get an opportunity to play. He made his IPL debut playing for Delhi Daredevils in the 2013 season. He didn't perform well as he took just six wickets in 11 matches across two seasons. The 2017 IPL season was his breakthrough season as his impressive performances earned him a place in the Indian squad for the series against Sri Lanka on November 2017. He was bought by the Sunrisers Hyderabad and he delivered for them as he took 16 wickets in 10 games. He was again bought by Sunrisers Hyderabad in the 2018 IPL auctions. 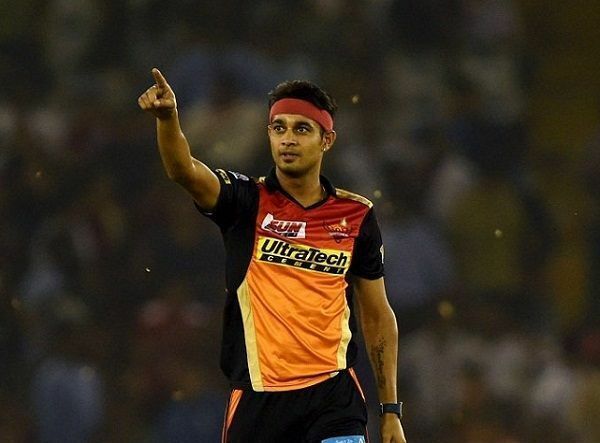 Shardul Thakur or Siddharth Kaul: Who should be India's third pacer?